We all struggle with keeping our kids motivated. Whether it's trying to get them to finish their chores or get work done, we wrestle with how to get them to actually do what we expect them to do. Do we give them reward for completing things on time? Do we punish them or give them consequences when they don't do what we want them to do? It causes so much stress and frustration for us as parents. Well, today's guest is going to bless you with some impactful and practical advice on how to best motivate our kids. If you are in the homeschooling world, you know that if you are at a convention where Andrew Pudewa is speaking, his sessions will be packed. Not only is he a language arts expert, he is also an expert in all kinds of things—like motivating your children. His insight and knowledge are going to blow your mind. His tips on parenting and learning are spectacular. You’ll want to make sure you listen to the very end as Andrew shares his “secret sauce” — and trust me — you don’t want to miss it! A Few Exciting Little Announcements! I wanted to that my BRAND NEW book (with Tricia Goyer) Homeschool Basics is finally here! I am so thrilled to finally be able to hold it in my hands! 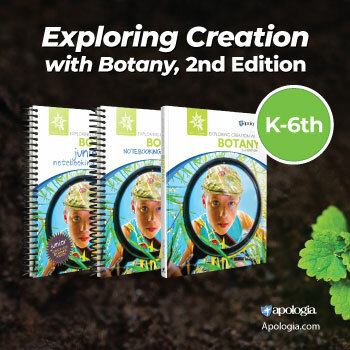 You can get your copy at TheHomeschoolBasics.com! You can also check out my new series on YouTube “How to Homeschool” — it's super fun. We kick the series off with art. So, whether you're a homeschooler or not, you can glean from these tips! I also have a great birthday giveaway going on to celebrate my birthday (which was yesterday!) I was honored to be interviewed by the great folks at Costco, LIVE on their Facebook page, and it spurred on a giveaway! 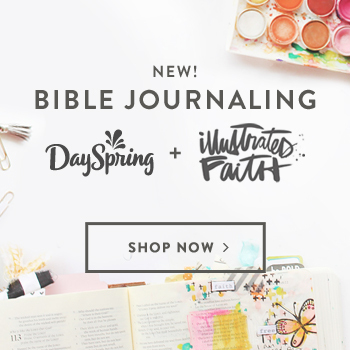 So I teamed up with DaySpring, and let me tell you—the bundles I created are amazing. You aren't going to want to miss this giveaway! Andrew says to make time for your family and what's important—as well as music, poetry, and literature. Check out this funny, impromptu interview I did with Andrew on the Teach Them Diligently convention floor! —I start the interview out by asking Andrew to tell us a little about himself. He shares that he is a homeschooling dad of seven (yes, seven!) children and nine grandchildren! He shares a little about his family business, Institute for Excellence in Writing, and shares about his world-wide travel. —Andrew shares the story how he went from being a violinist to being a business owner that’s all about Language arts. He shares a little of the history behind IEW and how it was born. —Andrew shares about his time in Japan when he was 22, and his experience learning to play the violin under Suzuki. Much of what he learned about coaching and motivation and human relations he learned during his time with Suzuki that was so much of his vision. —I share about my favorite session of Andrew’s: Teaching Boys (and other children) Who Would Rather Make Forts All Day I still listen to this session regularly! —I ask Andrew to share about some techniques he uses for motivation. —Andrew chats about relevancy and the four forms of this relevancy. —Andrew chats about what he did when there wasn’t a debate and speech team nearby when his kids were growing up, and why his teen daughter and her friends were auguring about Nato Alliance and alienating Russian and worrying about degrading Russian and American Relations. —Andrew and I chat about the difference between teaching with a passion and just not caring. —Andrew shares about what you do when you have those subjects that no one is interested in or passionate about, but they have to be learned. —Andrew shares how turning hard tasks into a game is fantastic motivation to learn. —Andrew shares the three laws of motivation. —Andrew shares the two secret weapons to motivation. —Andrew shares about a life changing event. Although he is a graduate of the Talent Education Institute in Japan and holds a Certificate of Child Brain Development from the Institutes for the Achievement of Human Potential in Philadelphia, Pennsylvania, his best endorsement is from a young Alaskan boy who called him “the funny man with the wonderful words.” He and his wonderful, heroic wife, Robin, have homeschooled their seven children and are now proud grandparents of nine, making their home in Tulsa, Oklahoma. You can check out Andrew's Excellent in Writing books HERE on Amazon! Be sure to visit Andrew's speaking schedule to see if he will be speaking close to you! This was a wonderful episode–thank you so much!